Amanda Berry, Gina DeJesus and Michelle Knight, as well as a six-year-old, found in a house a few miles from where they disappeared. Berry was 16 when she disappeared on 21 April 2003 after calling her sister to say she was getting a ride home from the Burger King fast-food restaurant where she worked. 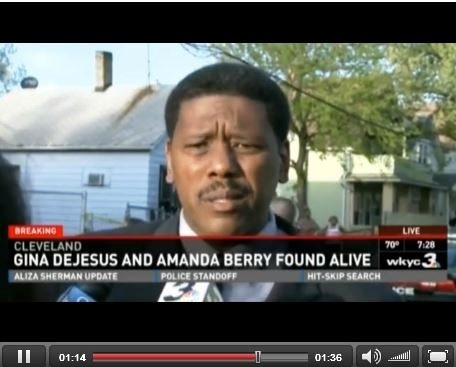 DeJesus was 14 when she went missing on her way home from school about a year later. Police said Knight went missing in 2002 and is now 32. Police said one of the brothers arrested, a 52-year-old, lived at the house, while the others, aged 50 and 54, lived elsewhere. They did not release any names.